Today the world of Blasphemy and Evil has presented a dark, violent and blood shedding image of Islam to the world by manipulating the ignorant and deviant Muslims. True Muslims have the duty of isolating these so-called “Muslims” and to present the true image of Islam. Voluntary blood donation on the day of Ashura provides us with a good opportunity to show a glimpse of the truth of real Islam and true Muslims to the world. 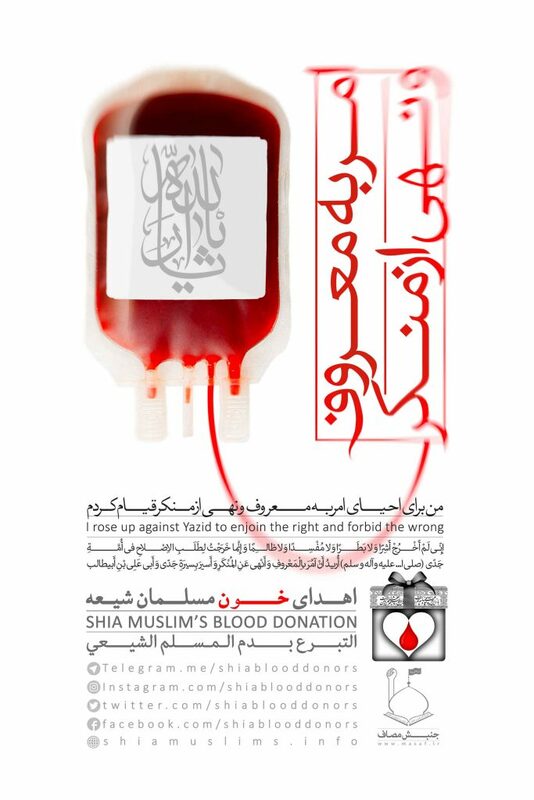 So by following the path of the Greatest Martyr (Imam Hussein [PBUH]) we present the glory of Islam to the world by donating our blood. 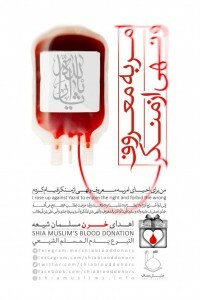 We intend to start a campaign of “Donating blood on the day of #Ashura And #Arbaeen” (to be practiced every year), with the aim of setting this action as an annual and global practice as well as a common ground for all Muslims on an international level and we seek the cooperation of you- the dear Helpers of Mahdi (AJ) in this path. Copyright © 2019 scientific-facts - .